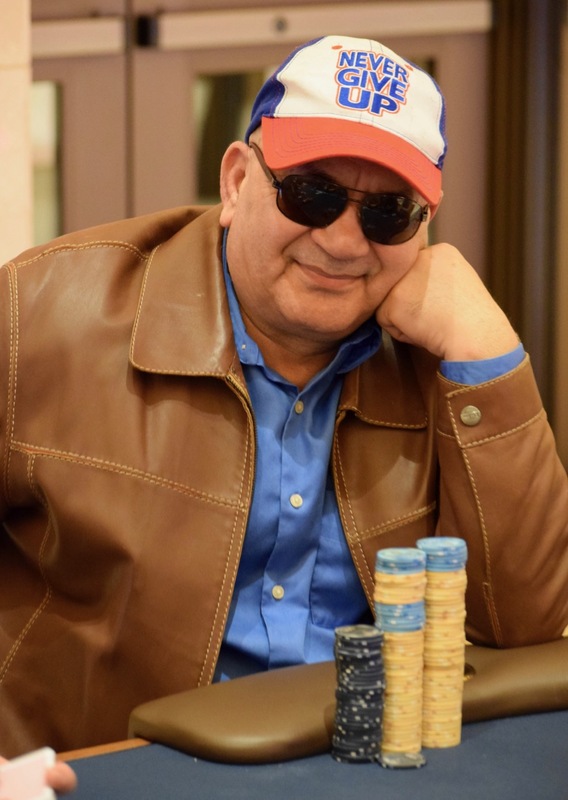 There's a bet to 26,000 on the A-4-7, two diamonds flop, and Mo Safapour (above) raises all in for 13,700 more. His 'table-talk,' sure seems as though he has a monster, as he's talking about how long he's played today and now is left with his chips in the middle. He does get a call after about 90 seconds and, yep, he turns over Aces .. top set. Six_Eight of spades ... drawing to a five and a five only. The chips go to Mo, plus the 20k in the pot preflop.